The client wanted both drama and simplicity. Deep black, patterned wall coverings set the stage – an unusual but impactful color for a residence. 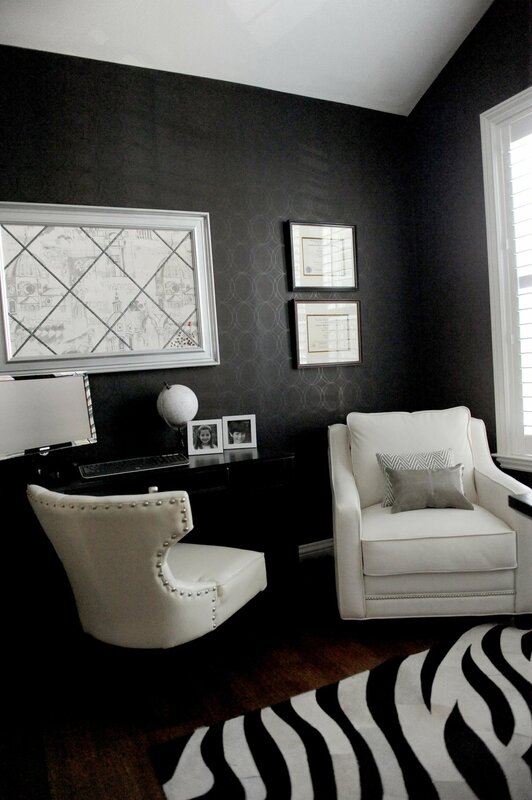 The soft creme chairs and zebra print rug were chosen to balance the dark walls.